As a happy user of Paint.NET on Windows I decided to install and use its fork for Linux, a Mono-based Pinta. (1) Attacker: Linux machine with two Wi-Fi cards; I am using Kali with internal Atheros and external Alfa (AWUS036NH) WiFi card. Type in your Wi-Fi network's name and password and click on Generate PSK button. 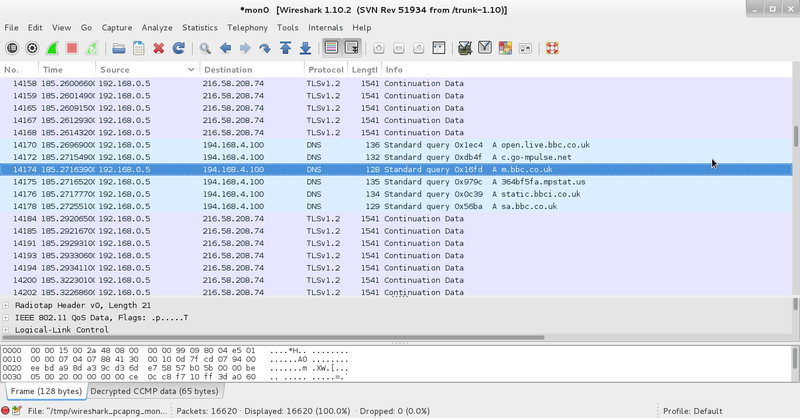 (4) Start Wireshark. If it is not installed, install it with apt-get install wireshark command. (5) In Wireshark: go to Capture --> Options and check "Use promiscuous mode on all interfaces"
(6) In Wireshark: go to Edit --> Preferences --> Protocols --> IEEE802.11, check "Enable decryption" option and add generated PSK key as new wpa-psk key in Decryption Keys. (7) In Wireshark's main dashboard select monitor interface created by airmon-ng; that is mon0 in my case. Press "Start" button in order to start live capture. (8) Connect mobile device to Wi-Fi network. Wireshark has to capture handshake packets exchanged between the victim and the router when victim joins Wi-Fi network. (9) In the browser of the victim's device type in any http address and allow it to load. I typed http://m.bbc.co.uk/weather/2643743 in order to get weather forecast for London from BBC Weather mobile webiste. (10) Stop Wireshark and search for the HTTP traffic which goes between any IP address which is not the IP address of local Wi-Fi interfaces. In my case that was 192.168.0.5. I could see DNS requests to all services my smartphone uses (Google, Facebook, Whatsapp...) and also DNS query for m.bbc.co.uk, and HTTP GET request that was sent! -oN/-oX/-oS/-oG : Output scan in normal, XML, s| and Grepable format, respectively, to the given filename. previous versions of Nmap, -Pn was -P0. and -PN..
compile-time by changing DEFAULT_PROTO_PROBE_PORT_SPEC. in nmap.h. the protocol numbers you wish to scan for (0–255). one given. ratio must be between 0.0 and 1.1.
longer. The intensity must be between 0 and 9.. The default is 7..
joke”. This is only reported in normal output in verbose (-v) mode. script.db by name, you can use a shell-style ‘*’ wildcard. be in quotes to protect the wildcard from the shell. and and then or. You can alter precedence by using parentheses. category or the safe category or both. except for those whose names start with http-. option if you need to set an upper limit on total scan time. through a chain of proxies) . connections as Nmap opens by default. the --unprivileged. option in other situations. · Integrates source code from Covered Software. will execute anything you tell them to). · Includes Covered Software in a proprietary executable installer. 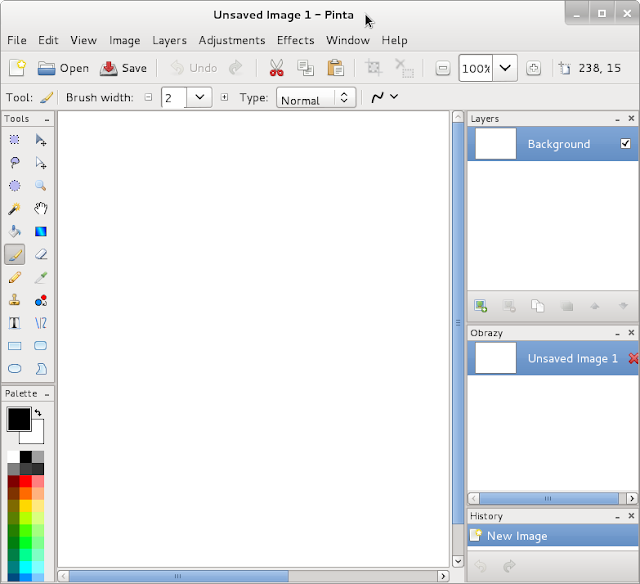 The installers produced by InstallShield are an example of this. runtime (such as by downloading it from the Internet). source code and allowing free redistribution of the work as a whole. linked combinations including the two..
whole work must be provided and free redistribution must be allowed. the terms and conditions of this license text as well. software. Please contact fyodor@nmap.org with any such requests. Covered Software without special permission from the copyright holders. and redistribute Covered Software under those terms instead of these. and relicense the code. Nmap will always be available open source,. of your contributions, just say so when you send them. library,. which is open-source software, written by Philip Hazel..
for our IPv6 OS detection machine learning techniques.